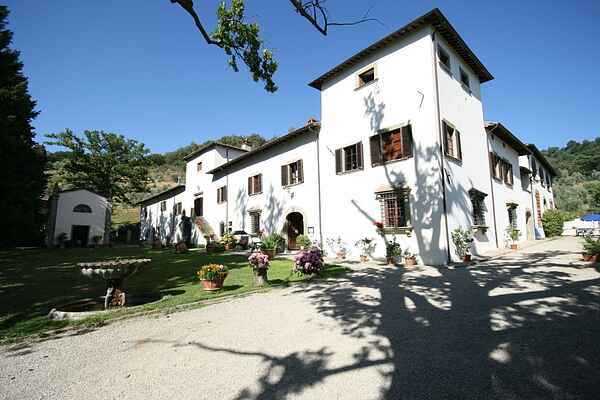 Enjoy a stay in one of the most significant 17th century villas immersed in the hills surrounding Florence. A truly memorable experience in this countryside, rich in history and marked by the signs of time and characterised by aristocratic families who created this villa leaving a patrimony of art, culture and traditions of invaluable wealth. You will experience a world suspended in time where old and new go hand in hand. Where one can appreciate the true sense of hospitality, flavours and perfumes of wines and local products as well as discover the stunning landscape, characteristic of this beautiful region of Tuscany. Comfortable apartment carefully renovated and furnished in a typical Tuscan style Each are equipped with outside garden or terrace with tables and chairs. We like our guests to feel at home in this family run atmosphere and pride ourselves on the quality of our services and we are keen to share our knowledge of the historical, cultural, agricultural and gastronomic aspects of this place. The property features a restaurant that is open on week ends. Cooking classes on site and horse riding nearby. We are immersed in nature where it is easy to forget the stress of everyday life. Facilities include a large swimming pool with jacuzzi, a tennis court, table tennis and for the younger members there a children's play area, guaranteeing enjoyment for all the family. For nature lovers, there are meny marked routes through the olive groves, age old chestnut woods and pine forests, either on foot or mountain bike. An ideal setting immersed in the tranquillity of the countryside in a context rich in history. The cal atmosphere, setting and nature that surround the villa are perfect ingredients for organizing a special event, be it of cultural or recreational nature combined with a touch of rural lifestyle and local traditions. Our meeting room can accomodate up to 35 people and at our restaurant we serve typical Florentine and Tuscan dishes, using seasonal and genuine produce, simply prepared using traditional recipes, experience the perfumes and flavours of this wonderful countryside. Accompanied of course by rthe main ingredients, "extra virgin olive oil", breadm backed in a wood oven and a good bottle of local Chianti.